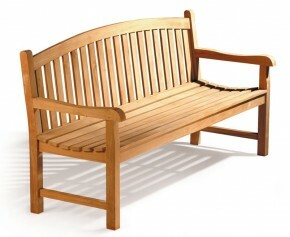 Charming and classic, our Clivedon benches feature a curved design that will suit any outdoor space. Elegantly handcrafted from grade-A teak and sanded down for a beautiful, sleek surface, these teak garden benches are of the highest quality. Able to remain outdoors all year round, no matter the weather, these Clivedon benches require minimal fuss and are a stylish and practical choice for any garden. Hand crafted to the highest spec, this teak 3 seater garden bench is stylish, solid, comfortable and represents brilliant value for money. 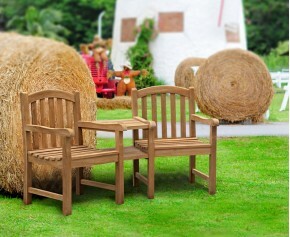 Manufactured in the traditional method using mortise and tenon joints, this durable outdoor furniture bench can remain outdoors all year round in any weather. 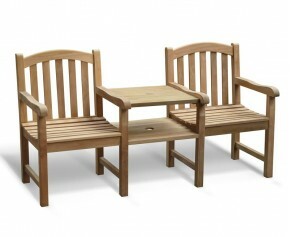 With a simple enough design to compliment any existing furniture but also stunning as a focal point, these teak garden benches will enhance your space. 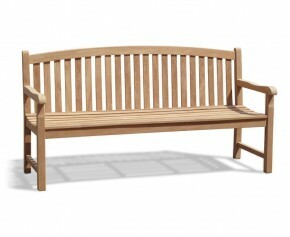 Built with comfort in mind, our Clivedon benches will provide you with long lasting garden relaxation for years to come.